Five additional non-stop weekly services connecting Athens and Madrid. Athens International Airport welcomes Iberia’s new scheduled flight 3885, which, as of January 9th, 2006, will connect directly Athens and Madrid, every Monday, Tuesday, Wednesday, Thursday, and Saturday, with Airbus A320 and A321 aircraft. Iberia operates already two daily services from Athens, to Madrid and Barcelona. The new services will provide Iberia’s passengers the opportunity to optimise their connections with 34 destinations in Spain, 21 in America, and 8 in Africa, enjoying the benefits offered by the airline’s broad network. At the same time, within the framework of providing an excellent travelling experience, Iberia provides its overseas passengers the choice of the new ?Business Plus? class, offering new levels of comfort and luxury. Welcoming Iberia’s new flight, the CEO of Athens International Airport, Mr. Alfred van der Meer, stated: ?We have the pleasure to welcome to ?Eleftherios Venizelos? the new flight to be launched by Iberia, the leading airline for Spain and Latin America. 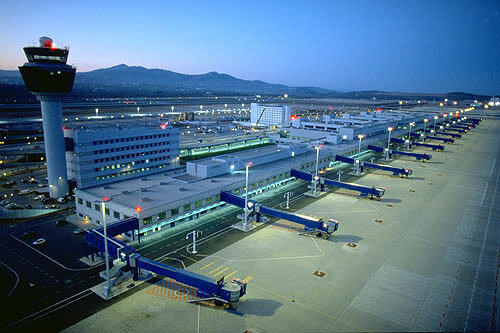 These five additional frequencies connecting Athens and the Spanish capital, reflect the dynamic development of the Spanish market, which is one of the fastest growing for our airport in the European region?.